If you live within 2km of your GO station, try walking just once or twice a week. It's a fantastic way to get exercise and unwind. To plan your local transit route, use Triplinx. 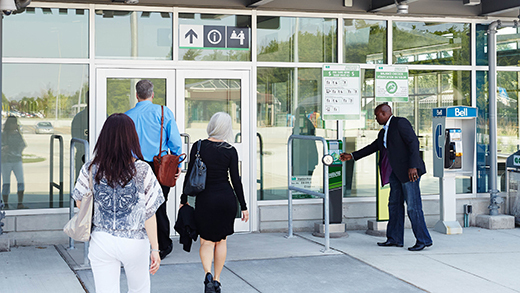 If you are unsure which GO station or stop to use you can Find a Station or Stop. All our buses can carry up to two bicycles. So you can bring your bicycle anywhere our buses go. 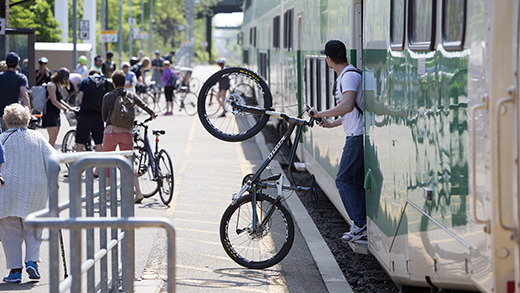 Our trains are bike-friendly, too. You can bring your bike aboard except when it's super busy - like during rush hour. On trains arriving at Union Station between 6:30 to 9:30 a.m.
On trains leaving Union Station between 3:30 to 6:30 p.m.
Visit the page for your station to see if it offers bicycle storage. Some stations even have bike lockers. Some stations also offer reserved bicycle parking, letting you rent a space in an enclosed bike storage area for a 1-year period. Foldable bicycles that are folded up are allowed in the station anytime. City of Toronto bicycle parking stations are available at Union Station, offering protected indoor parking with 24-hour video surveillance. Learn how to get a membership for bicycle parking. Carpooling to GO is an economical, convenient, and environmentally sustainable way to travel to your station. Share the cost of driving and reduce parking hassles. 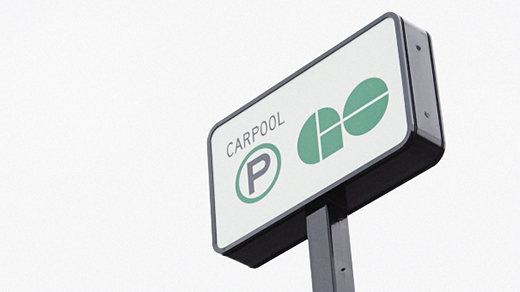 If you drive to a GO Station with one or more passengers, learn about the free carpool parking permit. Most GO stations offer customer parking. Visit the page for your station to see if it has parking. We offer free parking on a first-come, first-served basis. You can park in any space for a maximum of 48 hours. 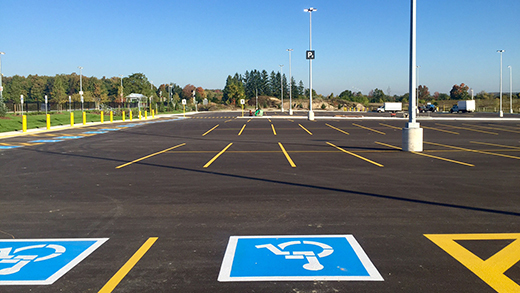 We also offer reserved parking in many of our parking lots for a monthly fee. 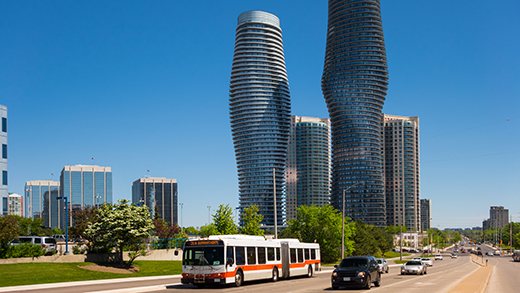 The pilot to test out electric vehicle (EV) charging at select GO stations is ending on November 20, 2018. The EV chargers will be unavailable for use as of November 21 and will be removed starting that date. During the pilot, we evaluated usage and financial viability of having EV charges at our stations. We found low demand for the charging stations, and the program’s costs were greater than any revenue. We aim to balance our commitment to sustainability while providing the best value to customers. To learn more about our green initiatives, click here. Zipcars are another environmentally friendly way to get to GO, or to use once you arrive at a station. Visit the page for your station to see if it offers Zipcars.